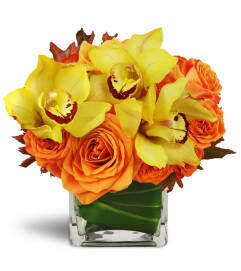 Send her the sweetest melody of all with this truly stunning arrangement. Your love will shine through the delicate hues of pink, while passionate red roses take center stage! Luxurious cymbidium orchids mingle with pink roses, red spray roses, and more in this gorgeous, impressive display. 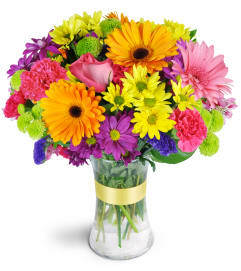 Flowers arrived in timely fashion, the recipient loved them I especially like that they call you right when at location. That was a great thing for.me.since I'm ordering from another State. Flowers Unlimited & Gifts is a Lovingly Florist in Chicago. Buying local matters. Discover how Lovingly supports local florists. Copyrighted images herein are used with permission by Flowers Unlimited & Gifts.